Diego Mascarella and Kieran Humphries, two young engineers with Master’s degrees from McGill, are fascinated by the complex systems of the modern Formula 1 engines and eager to talk about how much of the technology that went from street to track might find its way back to the street in ways a Toyota Prius owner might never dream of. Disc brakes, better suspensions, “paddle shifting” automatic transmissions, aerodynamics like spoilers, tuned exhaust, multi-valve engines: all these automotive improvements happened on the track before they showed up in your family Taurus. But hybrid technology, combining both electric and gasoline power, has largely gone the other way – from the street to the track, two McGill research engineers say. When the Grand Prix circus comes back to Montreal next month for the June 5-7 Canadian Grand Prix at the Circuit Gilles Villeneuve on Île Notre-Dame, it will be the second year in a row where the cars must use hybrid power units that include high-performance gasoline engines and powerful electric motors fed from complex electricity-generating systems. And they need to complete the race on about 100 kilograms of fuel, 30 per cent less than under previous rules. Diego Mascarella and Kieran Humphries are young engineers with Master’s degrees from McGill and a shared passion for automotive technology. They’re fascinated by the complex systems of the modern Formula 1 “power units” (they’re no longer merely engines) and eager to talk about how much of the technology that went from street to track might find its way back to the street in ways a Toyota Prius owner might never dream of. Mascarella is working on the first; Humphries on the second. But back to the track. It’s important to remember that a hybrid car that parks in your driveway has a very different purpose and goal than the hybrid-powered racing Formula 1 car, the researchers say. “In the case of a Prius, you’re trying to do energy optimization and energy arbitrage,” Mascarella says. “So sometimes you only have the electric motor working, sometimes you have the combination of the electric motor and the engine and you have different scenarios where you’re either trying to charge or discharge the battery. And so, here, you’re really looking to lower your fuel mileage. Humphries notes that the turbocharged F-1 engines are designed to cram the biggest charge of fuel/air mixture into their V-6 engines’ combustion chambers (high compression), whereas the 98-horsepower Prius engine runs what is called an Atkinson cycle, which lowers compression in exchange for better fuel efficiency. “So, it’s just a totally opposite goal,” he notes. “The other main difference for me, as a vehicle-architecture guy, is that the F-1 car has a parallel architecture where the electric motor unit is attached directly to the engine, whereas the Prius’s electric motor is hooked to the gearbox in their power-split configuration. 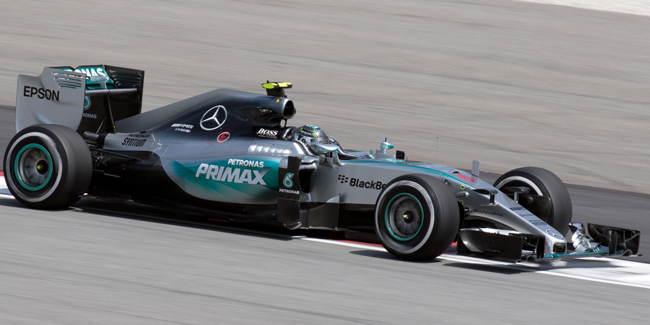 “For the F-1 car, the electric motor (about 150 horsepower) is never going to run by itself,” Mascarella said. “It’s either the engine (about 600 or more horsepower) or the engine and more electric power. There’s never a scenario where it’s the electric motor alone. “The nice thing about the Formula 1 car is the energy recovery systems (electricity is generated to be stored when required, both when the car brakes and energy from heat in the exhaust),” Mascarella said. The Prius also has regenerative braking, but the F-1 machines recover a variety of energies in a variety of complicated ways to feed the battery that powers the high-torque electric motor. Apart from the complex turbo system, pretty well all the hybrid technologies have been developed already for the street, the researchers say, so is there anything left to come back to the street from the developments on the track? Perhaps. Particularly in the heat-management systems, and in using new materials to keep cars lighter and more economical. But before hybrid and electric cars can make a great leap forward, there have to be significant improvements in battery performance – both in power and longevity. Humphries says for now the most popular solution appears to be coming from Elon Musk’s Tesla manufacturing plant: make incremental improvements in batteries and build tons of them to drive the price down through economies of scale. The four-volt lithium-ion batteries in a Tesla look like AA batteries, only somewhat larger, he said.